The complaint against Jayesh Shah, the publisher of the booklet, was lodged on the directions of the district election officer after it was found that the publication violated the model code of conduct. 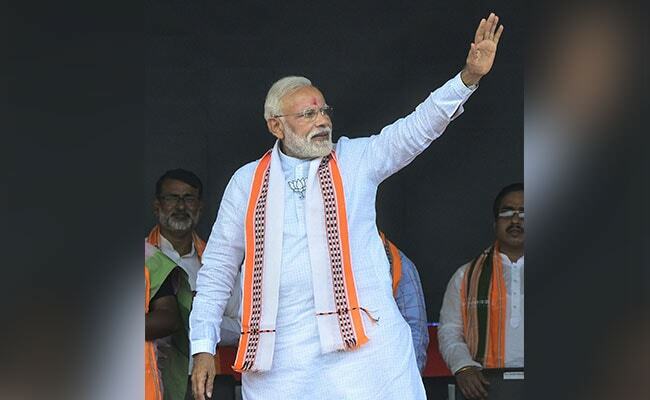 A police complaint was filed in Ahmedabad against the publisher of 'Chowkidar Pe Charcha' -- a booklet that takes a dig at Prime Minister Narendra Modi over his government's promises and policies. The complaint against Jayesh Shah, the publisher of the booklet, was lodged on the directions of the district election officer after it was found that the publication violated the model code of conduct (MCC). The district election officer on April 4 received a complaint on WhatsApp regarding the booklet, which is a compilation of over 60 cartoon strips on PM Modi that takes a dig at him over various issues, including demonetisation, GST, Rafale fighter jet deal, among others. The matter was investigated by the election officer, who authorised the executive magistrate to take necessary action. "We submitted the complaint to Paldi police inspector to register an FIR against the publisher of the booklet - 'Chowkidar Pe Charcha' - as its publication violates the MCC," Mamlatdar (Sabarmati) Shakrabhai Desai said. The MCC Committee of the district election authority had recommended filing of the FIR against the publisher, after finding that the booklet violated the MCC under section 127 (A) of the Representation of the People Act, 1952, dealing with restriction on the printing of election pamphlet or poster. The booklet was published on April 3, it was revealed during the investigation, although the date of publication and other details required to be printed on a book are missing, which is also a violation under Section 3 of the Press and Registration of Books Act, 1867, the authorities said.